When I was in high school and college, I would spend my summers down at the beach working in restaurants and delis. To this day, I take my sandwich making VERY SERIOUSLY. Depending on the sandwich you're making, there needs to be the perfect RATIO of ingredients...and while contstructing your sandwich...there must be visible LOVE! 4.) a chicken salad ...riddled with gristle!!! 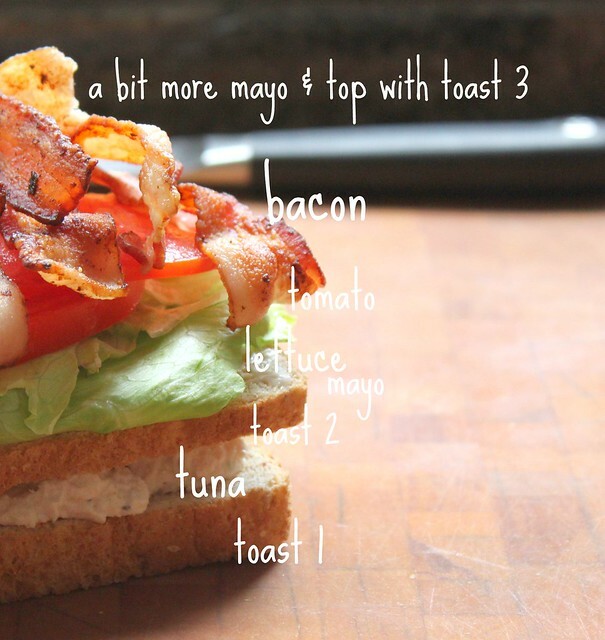 Haven't we all fallen prey to at least one of these sandwiches mentioned above?! Here we have a favorite of mine...The Tuna Club Sandwich...cut into quarters and served with a pickle and chips. MADE WITH PERFECT RATIO...and a WHOLE LOT OF LOVE! Never had bacon and tuna!!! WHAT is not to love about that??? I believe we should send people to low security prison (like the one Martha Stewart went to) for serving grilled cheese with an unmelted/cold center. I also firmly oppose a hoagie or cheese steak served on a soft (ie: elongate hot dog bun) roll. I have never tried that combo before...looks so good! Ok, ok, you've convinced me... you can make me a sandwich anytime you want!! :) YUMMY!!! yes! Hard time for serving a burnt, cold grilled cheese - LOVE IT! Thanks all, it was delish! Love tuna w/chips!!!! One of my biggest pet peeves involves sandwiches: when I order and they put the spread on and don't spread it out. It's totally unproportional and unacceptable. Sounds like you've got it down though! 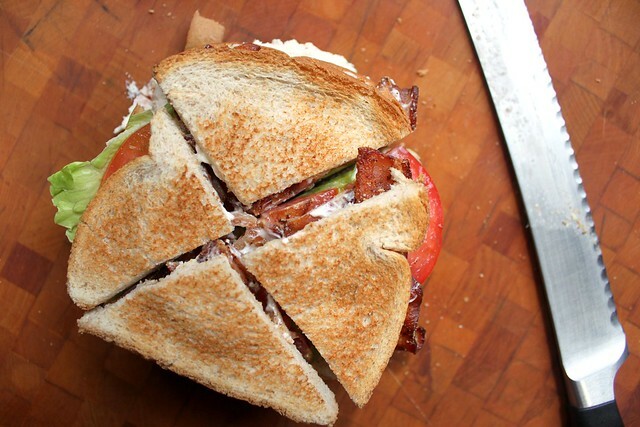 I love when sandwiches are cut into triangles too. 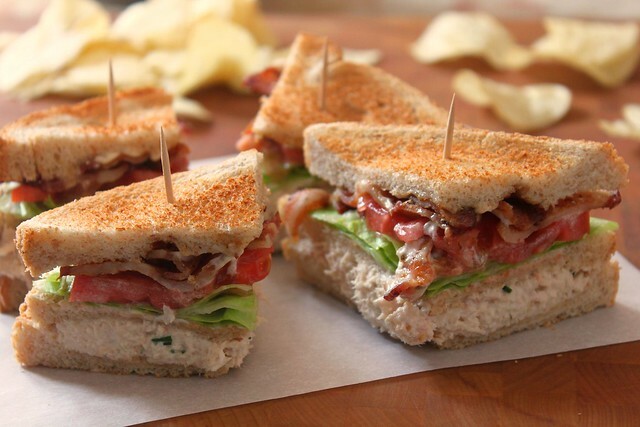 You are so right...sandwiches need to be JUST right, or why bother? I always end up disassembling a sandwich and remaking it when I eat out. 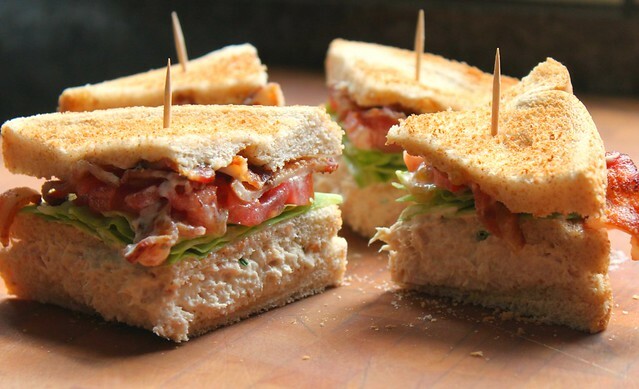 Your tuna club looks fantastic. Why in the world have I never put bacon on my tuna sandwich?? I'm a shame to the bacon-loving community. Love your mantra! The worst for me is soggy...yuck :( This is a perfect and gorgeous club! Absolutely can see the love that went into making this sandwich! That graphic with the text to the left is so great! 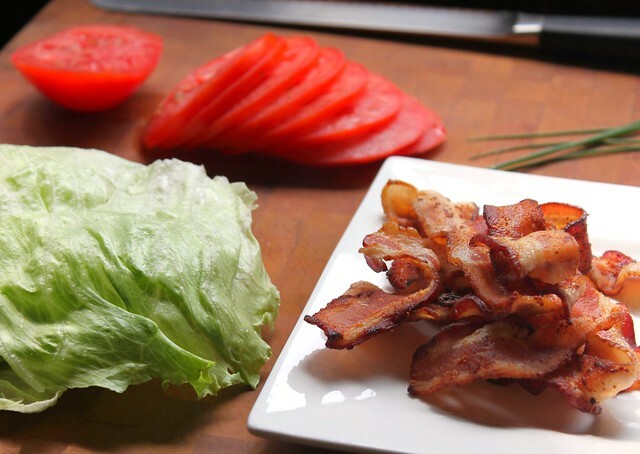 Still drooling over the bacon! That makes me toooo hungry. Your photos are always gorgeous. Why is love never listed on recipes?! Be still my heart. Sandwich ratio. Such an important concept that far too many don't seem to understand. Tuna doesn't taste the same as when I was a child, for some reason. What did you mix it with besides mayo, if anything?